According to the National Electrical Code (NEC), a luminaire, also referred to as a lighting fixture, have some specific rules for clothes closets in homes. For starters, if you have an incandescent light fixture installed, it must be fully enclosed with a glass over. This keeps hot bulbs from coming into direct contact with a flammable material like a blanket or clothing item. It also allows a safeguard for breaking bulbs. Second, fluorescent fixtures are allowed and can be either recessed or surface-mounted, however, they have their minimum clearance requirements as well. Fluorescent fixtures come in many shapes and sizes that can easily accommodate the area you need to light and they make it easy to install them. An LED luminaire are also allowed in closets and storage areas. These also need to be fully enclosed, but have specific distances from walls and ceilings. These distances range from 6 inches to 12 inches from walls and ceilings. The power consumption of the the LED lighting is far less than that of both an incandescent and fluorescent light fixture. LED lighting is the new standard for the lighting of choice, at least until the next thing comes along. Not only can you get replacement bulbs for our fluorescent lighting fixtures in the LED form, but also for the screw in, incandescent fixtures as well. The type I use light at a diminished rate at first, but then brighten gradually until they reach full brightness. I like them because it gives your eyes a chance to adjust gradually. As a word of caution remember, things that you place or store in your closet can become the catalyst for a fire in your home. Something that you store on the top shelf of your closet can be placed too close to the light bulb, could fall towards and end up touching the bulb, or ever break the bulb. By replacing a fixture that is not up to safety standards today, you'll have the peace of mind that your home is safe. As for cost, light fixtures that sport a glass housing vary in price from a few dollars on up. It is a small price to pay now versus a big price if the fixture causes a fire in your home. 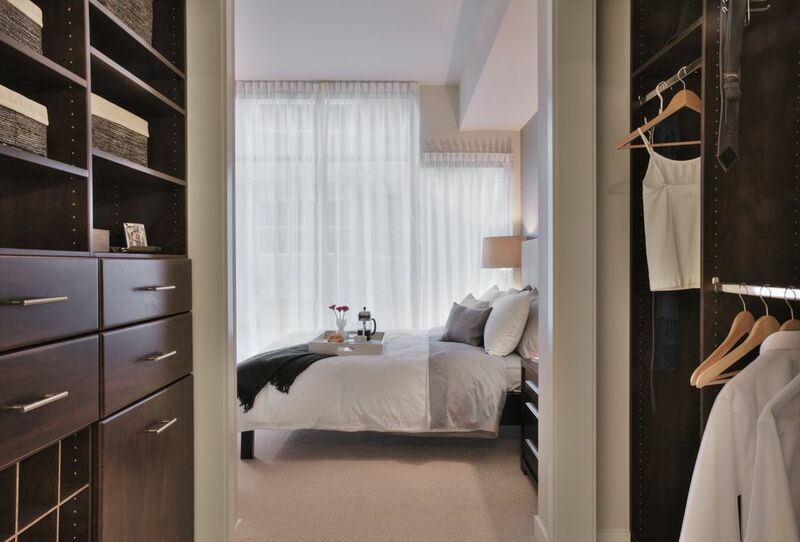 Be on the safe side and update your home's closet lighting today! This is a great time to walk around your home and check out the lighting fixture in all of your closets, storage buildings, and other areas of the house where you may have an open bulb fixture now that could be a fire starter. Ad mentioned above, a lighting fixture with a screw in type bulb is fine as long as it has a glass cover completely surrounding it. This type fixture won't allow something to come to rest or in contact with the light bulb. We have all seen these type of light fixtures in homes, due to their low cost and ease of installation. But what was OK at one time or another is no longer acceptable. Now is the time to correct this wrong and make you home safe. Luminaire is a French word meaning electric light. Thus we get the word luminaire as a noun in English, meaning an electrical light and its components; an electrical lighting fixture.